As one of the country’s top actresses, one might think that Nadine Lustre has it all figured out. But as her intimate self-penned letter proves, the 24-year-old star isn’t any different from women her age. Behind the glamour, the flashing lights, and the numerous accolades is a determined, strong-willed woman who fought and worked hard to become the confident person that she is now. Allow Nadine to raise you up and empower you through words she thoughtfully wrote for her 18-year-old self. Right now, at 18, you’re still finding your place in the showbiz industry. You’re questioning everything and still figuring things out. Girl, ang dami mo ring insecurities! From your body and your looks to what people say about you. What I want to tell you is this: Hang in there. Kapit lang! Trust me, this is just the beginning. You’ll eventually find that many aspects of your life will be bashed. People will find ways to bring you down. Even your love life will be subject to controversy! But that’s still way down the road, so huwag mo munang isipin. Haha! But you know what? Hindi mo kailangan maging affected. No one knows you better than yourself. Don’t let the negative things and all the hate consume you, because you don't owe anyone anything. Start by loving yourself more. That’s the most important thing. I know you’re the kind of person who loves unconditionally, but you also have to think of yourself. As you get older, you’ll learn that confidence is everything. Don’t let your insecurities get to you. Accept them, acknowledge them, and be okay with them. Be true to yourself and things will work themselves out. You might not realize it yet, but entering showbiz will be one of the best decisions you’ll ever make. Marami kang pagdadaanan at matututunan. In the process, you’ll meet people who will have your back and accept you for who you are. Your experiences will make you a better person. And your accomplishments? They’re all because you were just being you, and because you simply said yes. Nadine, say yes, and you won’t have to worry about missed opportunities. Say yes, and you’ll be happier than ever. Don’t pass up any opportunity that comes your way. Just go for it and accept it. By saying yes, you’ll be in a position to inspire young women to be their best selves and follow their dreams. You will be partnering with institutions and be part of movements that help young women become more confident with themselves. I really love this part. Just say yes, Nadine. Trust yourself that you’ll make it, and you will. CGs, think of each day as an opportunity to become better. Don’t let doubt cripple your dreams. Say yes, and you’re well on your way to being more and achieving more. Take it from Nadine. Her faith in herself and courage to take risks rewarded her with not just success, but also a purposeful life. 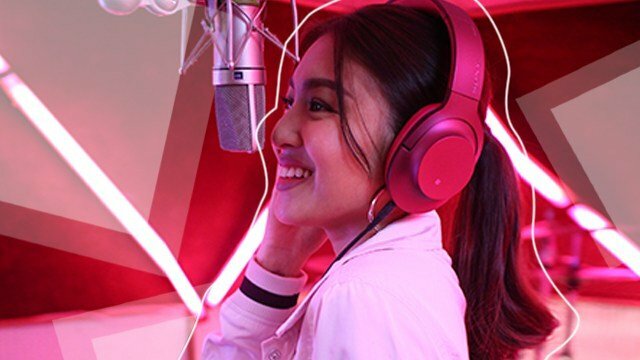 Nadine recently became the face of Whisper’s Curvalicious movement, which is all about taking opportunities and always giving your best in everthing, and that lets her further empower women to be fearless and unstoppable. Sure enough, many Pinays have been inspired by Nadine and the Curvalicious movement that they share their Curvalicious stories on social media with the hashtag #ChooseCurvalicious. Say yes all day and inspire others with your Curvalicious story. Don't forget to add the hashtag #ChooseCurvalicious! This article was created by Summit Storylabs in partnership with Whisper.